The deadline for making an application for a 30 hour place for the Autumn term is 31st Aug 2018. 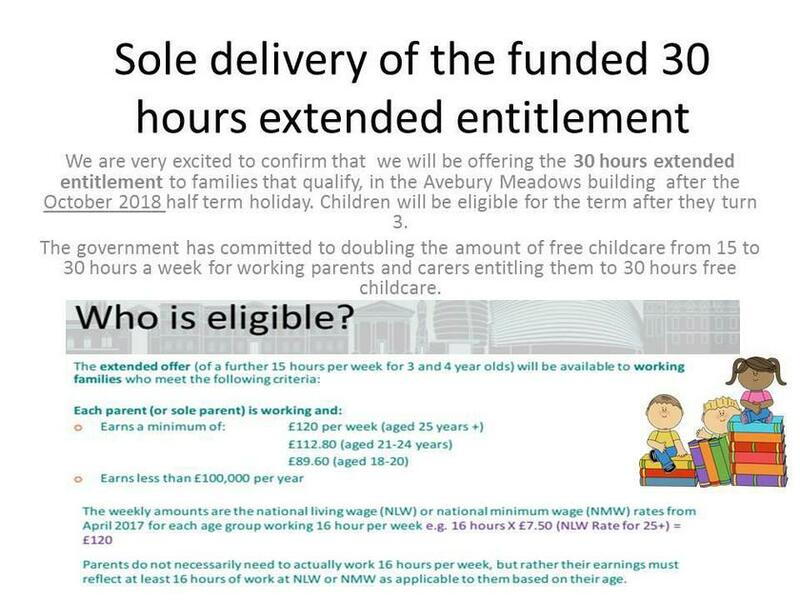 However, parents and carers should not leave it too late to apply as HMRC may need more information to check and confirm eligibility and parents should allow time for this. Once the school opens in the Autumn term, parents and carers need to bring the code details to the school Office, we will then confirm the place, once the school has carried out appropriate checks. We will then ask you to complete an application form and places will be issued. 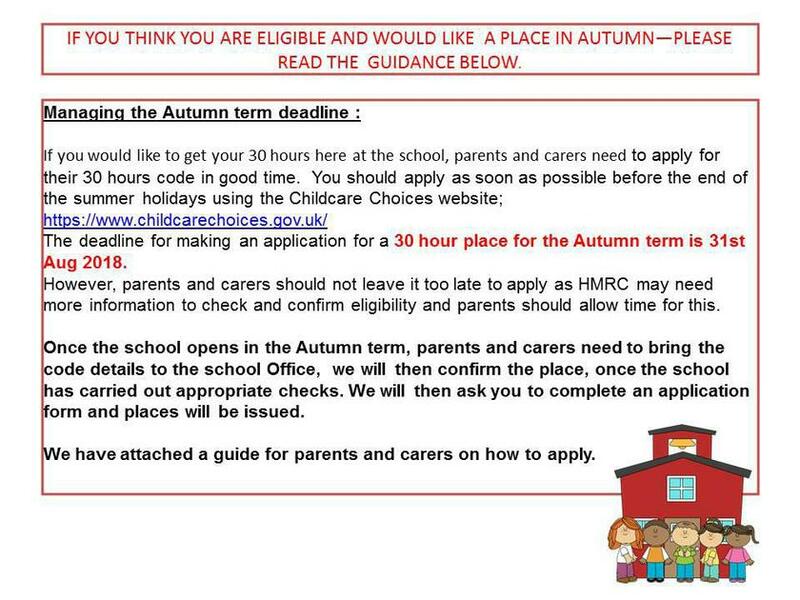 We have attached a guide for parents and carers on how to apply.